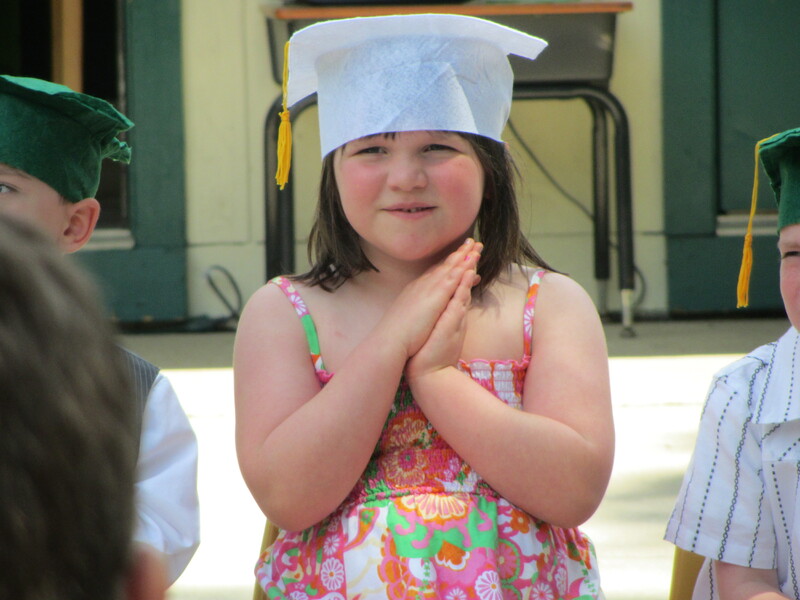 Today was graduation day from Pre-K for my baby. Where has the time gone? Starting next year both girls will head to the bus stop. No more early trips to the preschool. We have been there for 4 years between both girls so walking out the door today felt strange. I have to face reality, my girls are growing up…I don’t have to like the idea! I am so proud of both of them. Megan’s last report card from second grade was perfect. She is reading on a 5th grade level and corrects my grammar. Madison is beginning to read and has a wonderful grasp of basic math. They both make me smile from ear to ear! This day also brings closer my conversation with them. I wanted to wait until they were out of school. Well…no more excuses! Thank you! She was so thrilled to be there.